No drug or vaccine is 100 percent safe. Every prescription drug or vaccine that reaches the market must go through strict regulatory approvals before it can be sold to the public. In spite of this, prescriptions drugs and vaccines cannot be deemed absolutely safe. There have been instances where people have been injured or died as a result of consuming these approved drugs. This normally happens because the inherent risks are not detected until long after the regulatory approval process. It may also happen because of manufacturing defects. The National Vaccine Injury Compensation Program processes all monetary claims made against manufacturers of vaccines under federal law. The program is managed by the U.S. Department of Health and Human Services (HHS). They evaluate all documentary evidence to determine whether the case qualifies for compensation or not. Compensation for deaths caused by the use of vaccines is limited to $250,000. A large number of claims filed with the HHS are denied. However, this does not mean the end of the road; it is still possible to file a lawsuit against vaccine manufacturers. The limitation on compensation does not apply in a case of a medical malpractice lawsuit. However, these lawsuits can be quite complicated and only an experienced St. Louis product liability attorney can help get the compensation that the victim deserves. Strict liability is enforced on manufacturers by many states in case the prescription medication they produce causes injuries. Whenever drug manufacturers produce defective medications due to ineffective quality control in the manufacturing process, or fail to issue a warning label, the injured person may file a liability lawsuit against the company. The amount of compensation that the victim receives is based on the severity of the injuries. The injured person may also seek compensation for medical expenses and pain and suffering. The victim may seek compensation for past and future wage loss caused by inability to work. In some instances, punitive damages may also be awarded by the jury. The monetary award for punitive damages is designed to penalize the manufacturer of defective prescription drugs. The laws associated with medical malpractice, particularly those concerning defective vaccines or prescription drugs, can be complicated. In addition to this, the facts surrounding every case are unique, so it is important to seek the services of a competent St. Louis medical malpractice lawyer. 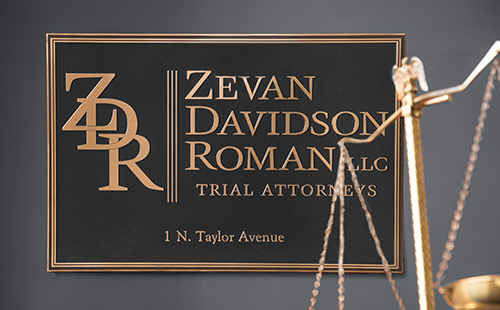 Contact Zevan and Davidson Law Firm at (314) 588-7200 for a free case evaluation.